“The Wild Horse Conspiracy” presents new evidence concerning the history and evolution of wild horses in North America and describes their positive contributions to soils, plants, animals and people. After defending wild horses and burros against attacks for over 40 years, Downer shares his personal experiences with these animals, their diverse herd areas, and the “multicolored people” involved with them. 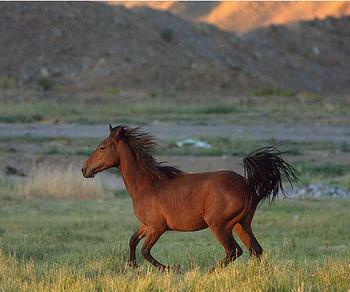 Four years in the writing, “The Wild Horse Conspiracy,” presents proof that wild horses are native to this continent. The book exposes official corruption in implementing Wild Free-Roaming Horses and Burros Act, while outlining a solution to reforming this aspect of American life. Now on the 40th anniversary of the Act a strategy to reverse the negative schemes that are causing the elimination of wild horses is urgently needed, Downer says. But Downer argues, and has gone to court in an attempt to prove, that federal agencies capture thousands of wild horses to clear the West for livestock grazing without regard for the wellbeing and survival of the horses. We need to “restore the heart of the law, to restore the now largely empty legal areas with wild horses/burros in the wild, on Bureau of Land Management and U.S. Forest Service lands, with fair resources allowed for them by our public servants,” Downer said in December. He was speaking in advance of a candlelight vigil held in Carson City, Nevada in December to pay tribute to Velma Bronn Johnston, dubbed “Wild Horse Annie,” in honor of the many years she spent working towards legal protections for the wild equines of the American West. A member of the IUCN Species Survival Commission, Downer has written popular and scientific articles and books, including action plans for endangered species. He is the “proud companion” of mustangs Lightning, a palomino stallion, and Princess Diane, his curly mare, both of whom Downer knew in the wilds of northwestern Nevada before they were captured by Bureau of Land Management in 2010. Downer is also the author of the book, “Wild Horses: Living Symbols of Freedom.” Contact him at ccdowner@aol.com.